Dane was her first kiss and the only man she ever loved . . . until their marriage crashed and burned. Now Audra has built a quiet life for herself running a flower shop she's put her whole heart into. 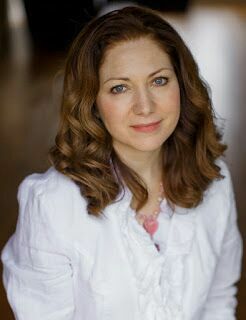 But Audra is left reeling when an unexpected circumstance brings Dane back into her world. He's still as breathtaking as he ever was, and he still affects her more than any man she's ever known. Yet learning to trust him again could be a matter of life and death . . .
"Forget everyone else, my sweet butterfly dancer. You were mine, even then. Before I ever met you." 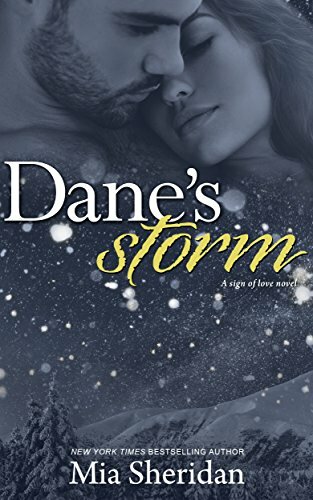 Dane's Storm is a beautiful contemporary romance by one of my favorite authors. I love second-chance romance, so I was extra excited about this book. If you read the blurb, you know that the main characters were married. I was curious about why their marriage didn't work out. I was happy that the past was shown in flashbacks instead of the story being broken into two parts. There were young when they went through some very difficult times, and they didn't know how to handle it. It broke my heart to read those flashbacks, but some of the scenes also brought a smile to my face. The author does such a great job in creating amazing romance stories, and she reinvents herself each time. She doesn't recycle her stories, each one feels fresh and original. I enjoyed how the story progressed and was satisfied with their reunion. There was no animosity between them, and they were very respectful to each other. It is obvious that they both still have very strong feelings for one another. This story is also part survival romance (which is a subgenre I love! ), they were stranded on a mountain and injured. I loved seeing how they took care of each other, and finally were able to bring down the walls they had built around themselves. Especially, Audra kept most of her feelings hidden from Dane which was one of the reasons why they didn't work out. There was plenty of character development and I enjoyed seeing these two people heal and come back together again. I just wanted this story to be a chapter or two longer, I felt like the ending was a little bit rushed. I wanted to see more of them as a couple back in the normal world.